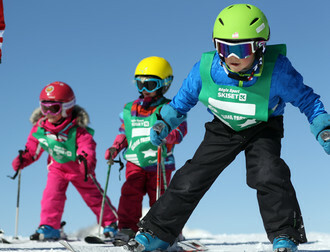 If your child is a beginner or wishes to learn safely at his own pace, the ESF Vallée Verte ski school offers ski lessons for your children. Whether your child wants to perfect his style or simply to be accompanied in this new skiing experience, our instructors will do their best to adapt themselves to your child’s level to make it quickly improve. The number of children for one ski instructor is 12. 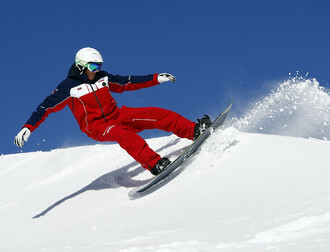 Ski lessons are from Sunday to Friday and end on Friday with a ski test. The competition slaloms "Fleche" and "Chamois" are on Wednesdays. You can book your participation at the Office from ESF de la Vallée Verte, at last on Tuesday, the day before the course. Your child can begin to learn snowboarding from 10 years old.